The Water and Sewerage Company (WASCO) wishes to inform the public that it received sporadic reports of discovery of worms from some customers’ tap water in the capital city during the Christmas holidays. Some of the reports were from Old Europa and isolated cases from other areas in Maseru. Following the reports, the complainants were immediately contacted and visits made for investigations and remedial action. We established that larvae of midge fly (Chironimid), commonly known as bloodworms were present at some of the customers’ tap water at the areas indicated. Midge flies live and breed in moist areas or in water directly. As more reports/complaints were received from customers in various areas Maseru , this indicated to us that the problem is not localized. Therefore, our investigations established that our Mpilo reserviour was the access point for the midge fly which then lays its egges in water (eggs hatch into larvae which then customers have observed in their water). A number of activities including equipment testing and maintenance could have exposed the Mpilo Reservior to unusual access by midge flies. Remedial actions undertaken immediately included draining and cleaning of the distribution system of the affected areas, and flushing and cleaning one of the main service reservoirs Mpilo. We continue to consult other water utilities who have experienced this challenge in other to ensure that there is no repeat and to share experiences. As remedial work continues, supply disruptions maybe expected, but WASCO will continue to inform the public accordingly. Routine maintenance activities continue throughout our entire supply system to ensure we supply safe potable water. Customers are encouraged to strain/filter water at their taps if they still observe bloodworms in ther supply. While it is not necessary, customers may boil their water. 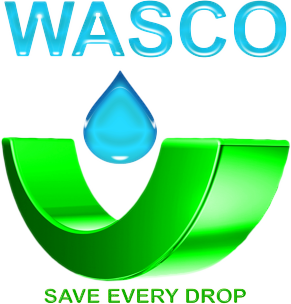 Management wishes to assure customers that the water supplied by WASCO is perfectly safe for all domestic use. Our Laboratory continues to closely monitor water quality and our water remains compliant with all microbiological, chemical and physical specifications in line with the World Health Organization (WHO) standards. The network system comprising of reservoirs, pipelines and taps is regularly monitored to ensure that the quality of water conforms to the acceptable international standards. We continue to work to eliminate this aesthetic nuinsanse from tap water and ensure there will be no recurrence. The Chironimid larvae are harmless and if one is accidentally swallowed it would be as harmless as swallowing an ant. They pose no health risk. Even so, until the problem is remedied, customers are encouraged to boil or filter the water.